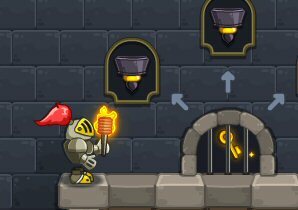 Description: Castellan game Your job is to light all the torches in the castle in order to get a key. Use the key to open the door and complete each level. However, as you complete each level, more dangerous things appear that can kill you. Are you up to the task?